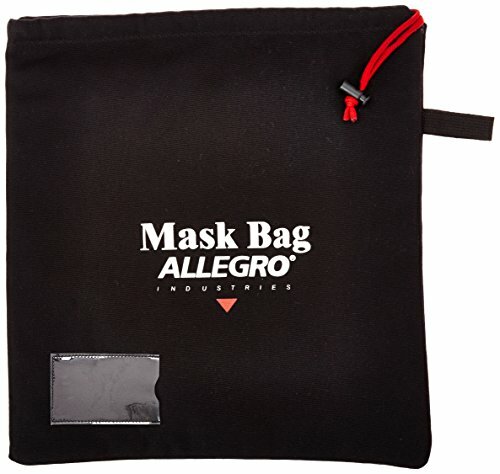 This easy to store bag is made with cotton outer fabric and fleece inside to protect mask. A clear plastic window pocket allows for business card identification. Designed with a drawstring closure, an added locking device feature and special hook which allows you to hang the bag when stored. Will fit all full-size mask respirators. If you have any questions about this product by Allegro Industries, contact us by completing and submitting the form below. If you are looking for a specif part number, please include it with your message.